Located in Garda, Benaco is within a 5-minute drive of Al Corno Beach and Baia delle Sirene Park. Featured amenities include express check-in, luggage storage, and laundry facilities. A roundtrip airport shuttle is provided for a surcharge (available on request), and self parking (subject to charges) is available onsite. 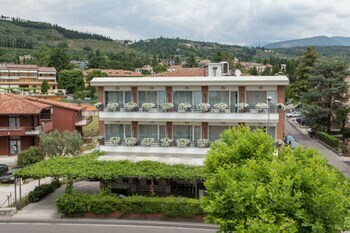 Located in Gaiole in Chianti, Casina is in a rural location, within a 5-minute drive of Gaiole in Chianti Stadium and Church of San Sigismondo. Free self parking is available onsite. Navona apartments - Piazza Navona area offers accommodations throughout the area in Rome. Featured amenities include multilingual staff and luggage storage. With a stay at Affittacamere I Coralli in Monterosso al Mare (Borgo Antico), you'll be a 3-minute walk from Monterosso Beach and 7 minutes by foot from San Francesco d'Assisi Statue. Located in Rome (Trastevere), Aweshome - Trastevere Yellow Frame is within a 10-minute drive of Colosseum and St. Peter's Basilica.